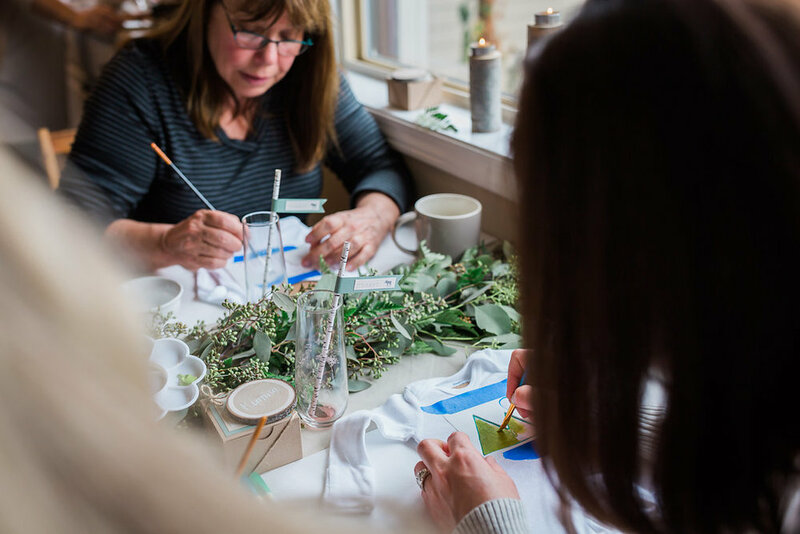 Exciting things are happening here at HRJ Events - last month I styled my very own baby shower. 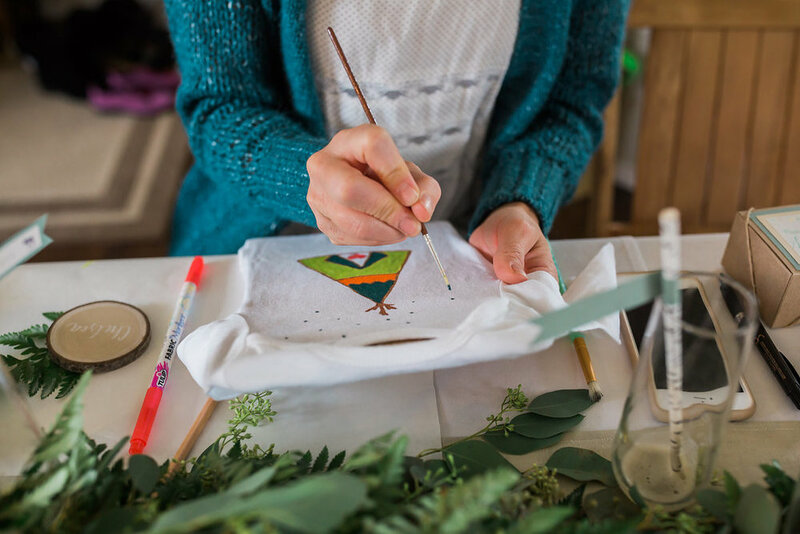 Now I know, most people usually have baby showers thrown for them, but with me being me, and event planning being my job - I just couldn't help myself! 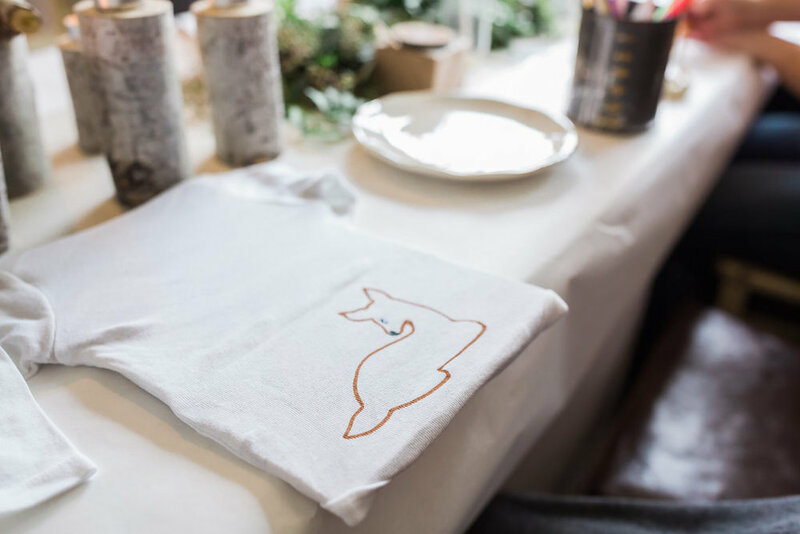 I'm excited to share with you my baby shower for our Sweet Baby Boy! 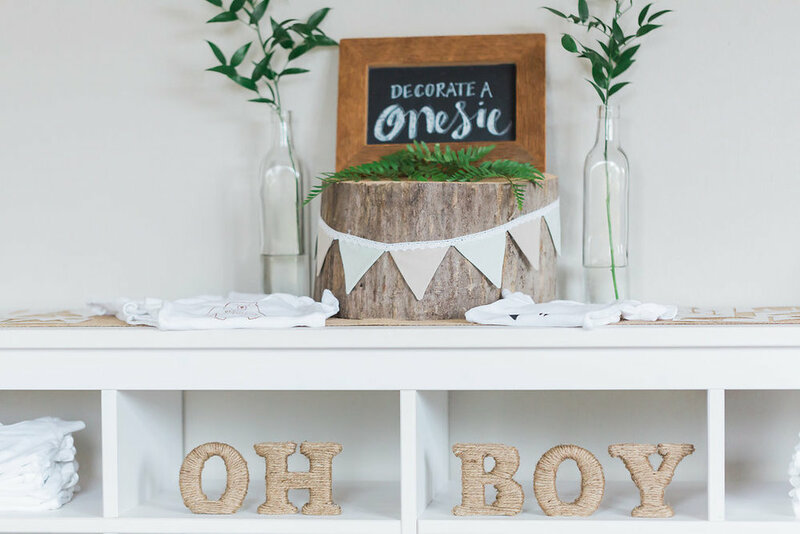 I had already started decorating his nursery with a rustic, outdoorsy woodland theme, so I knew I wanted that to carry over into the baby shower. I found the most adorable Invites at Tiny Prints and knew they would be just perfect! 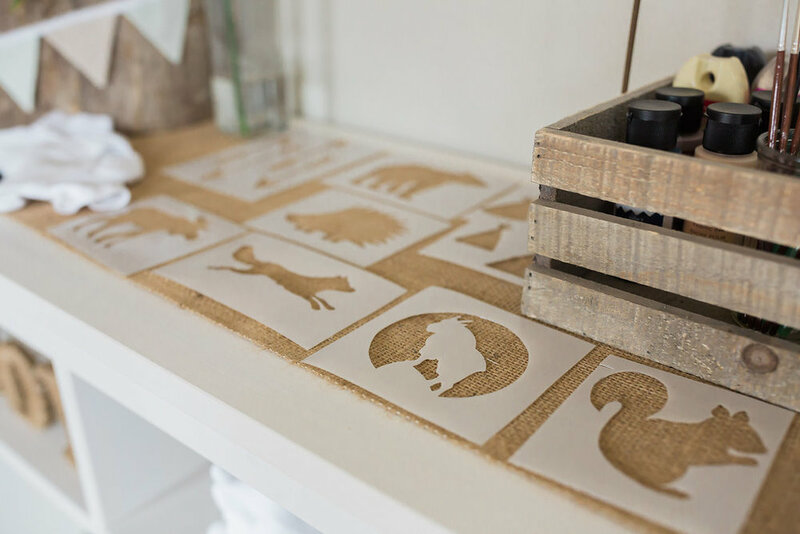 They have so many great invite options, but I totally fell in love with the sweet little woodland animals - especially that deer! I absolutely loved all of the matching items to the invites, especially the "Baby Wishes For Heather's Little One" that I tucked into each place setting. Guests were to fill in the blanks to sentences like: I hope you love __________, I hope you learn _________, I hope you become __________, I hope you know __________ etc. The answers were so fun and heartfelt! My heart just swooned when I read that multiple guests had the same answer - They hoped that he becomes a man, just like his father - and I couldn't agree more! Total bragging moment - My husband is such a good, kind, God loving, man of integrity, and I pray that our son becomes just like him. From the invites, I gathered a neutral color pallet of creams, tans, grays, and greens that set the tone for the rest of the decorations. Pam from Full Bloom Flowers & Plants made the greenery runners for the tables, along with the precious floral wreaths above the bar and my floral crown. Pam also made the beautiful arrangement, and provided ferns that I placed throughout the shower. Her work is so exquisite, and she is so sweet! For the place settings, I had Josie from Chalk Chic Mama write guest names on little birch rounds that my husband had cut. They turned out so cute - Josie has incredible talent! 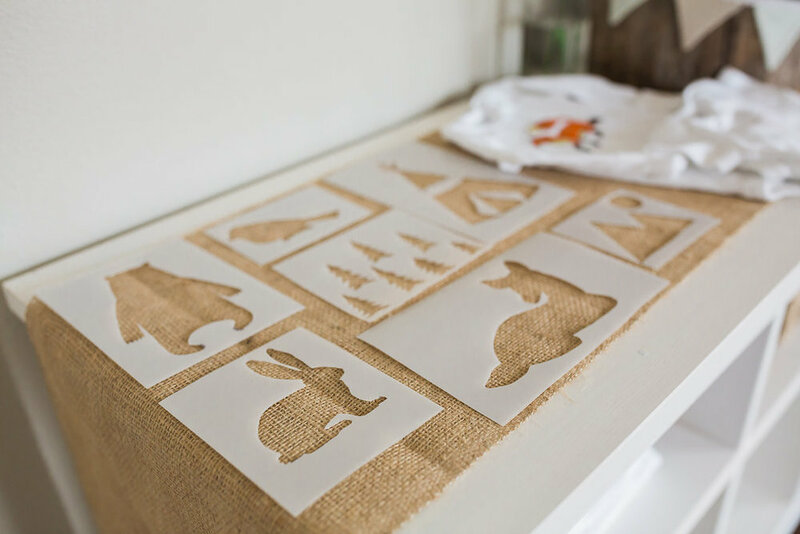 I found the most precious water color prints of the fawn, baby fox, and the bunny rabbit from Susan Windsor and just fell in love with them, and knew they'd fit perfectly in the shower decorations. No party is complete without a mimosa bar. I found some card stock that matched the green on the invites and made some lovely drink flags - and how perfect are those birch straws?! Sticking with a brunch theme, we had a scrumptious waffle bar. How cute is that sign from Chalk Chic Mama? She is seriously amazing! My sweet husband found the best Belgium waffle recipe and made brunch for everyone! My mouth is watering thinking about all of the deliciousness we devoured that morning! Maybe I can convince him to make it for me this weekend?! Ahh Desserts! They are my favorite. Lisa from Cupcake Blues made the darling and delicious vanilla naked cake, and the sweet little deer cookies. Her work never disappoints, and always turns out divine! I made a quick little bunting for the top of the cake, and found the perfect little woodland animals, complete with a baby deer. 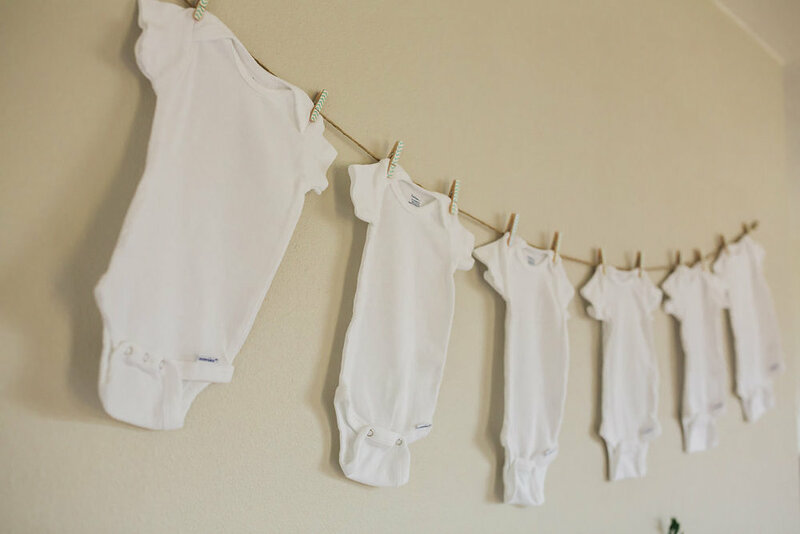 I just love "Decorate a Onesie" stations at baby showers! I love that my little one will wear onesies that my sweet friends decorated. 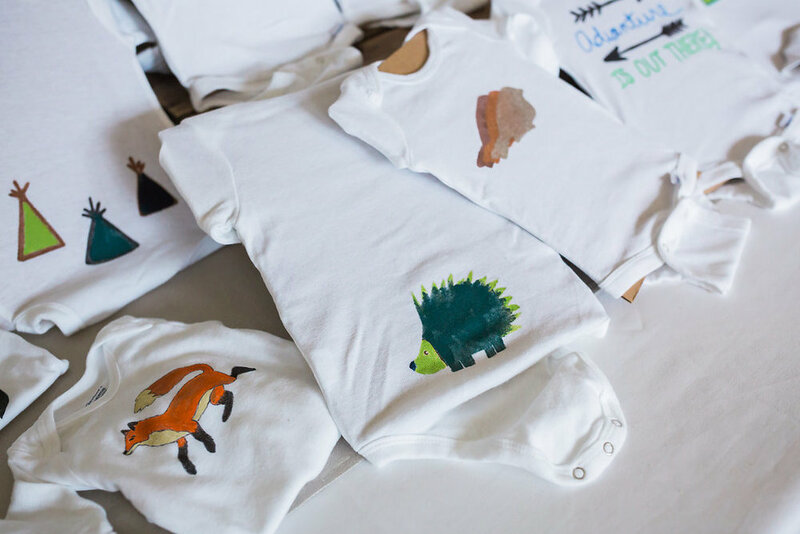 Sticking to the woodland theme, I found some cute, free images online, printed them out, and had my husband make us some stencils for our guests to decorate the onesies with. I think they turned out pretty cute! The day was just perfect, filled with lots of love for our sweet baby boy. Cannot wait for him to get here, and to realize how loved he is by so many! As always, huge, huge thank you from the bottom of my heart to all of the incredible vendors involved! My baby shower would not have been what it was without you!